Nestled in 25 acres of stunning Somerset countryside, The Longhouse offers two diverse spaces absolutely perfect for hosting unique, bespoke wedding ceremonies and receptions amidst beautiful tree-top views. This exceptionally 'green' wedding venue is light inside anytime of the year with a wall of glass overlooking the Brue valley, it doesn't charge for corkage and lets the wedding couple decorate The Longhouse the afternoon before the wedding making the whole preparation as enjoyable as possible. Choose four caterers who will work around your individual tastes and budget to create a unique menu just for you, and should you wish to stay over and participate in some thrilling outdoor activities at The Longhouse the next day, there is a superb self-contained flat for the newlyweds and onsite accommodation for up to 46 guests - with plenty of further options nearby! 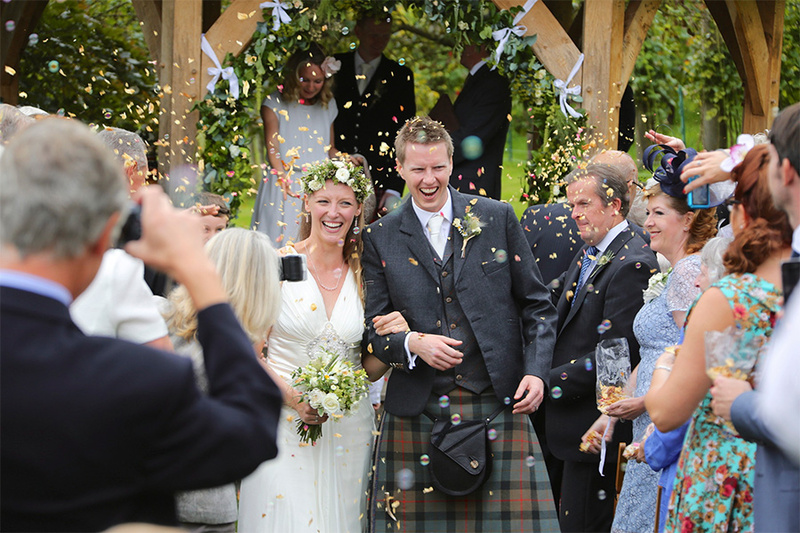 After launching in 2005, The Longhouse has successfully organised and hosted over 150 unique weddings. The venue itself can readily act as a blank canvas for you to decorate as you like, in perfect keeping with your personal style and wedding theme. Matt and his team will be on hand to advise and inspire you, and you'll be able to set things up a day ahead of the wedding, making for a relatively stress-free experience! The Gazebo - nestled between their vineyard and the parkland, the gazebo provides a beautifully romantic location for your wedding ceremony with up to 140 guests. The Wine Cellar - Perfect for small, intimate weddings, the Victorian Wine Cellar can seat up to 60 guests for a civil wedding ceremony. The Longhouse - For larger gatherings, The Longhouse, featuring beautiful balcony views, can accommodate up to 140 guests for stunning ceremonies and receptions overlooking the vineyard and trees below. After the ceremony, guests can enjoy canapés, champagne and photographs in the outdoor gazebo and gardens, before returning to The Longhouse for an exquisitely-presented wedding breakfast and evening reception party. A beautiful self-contained flat is available for newlyweds to use throughout the day, and elsewhere there's space for 40+ guests to stay overnight and enjoy a 'bunk and breakfast' experience after your evening celebrations! 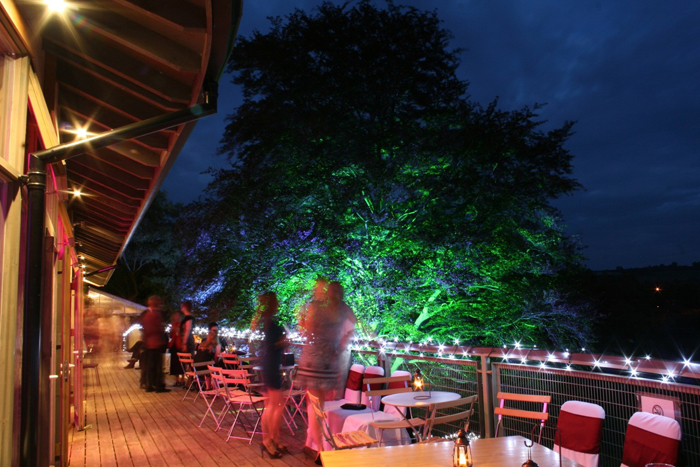 The Longhouse recommend four local catering companies, all of which work to accommodate individual tastes and budgets. But it's completely up to the wedding couple, with the option of finding another catering company being available. Get in touch with the team at the Longhouse by using the contact details at the top and bottom of this listing. 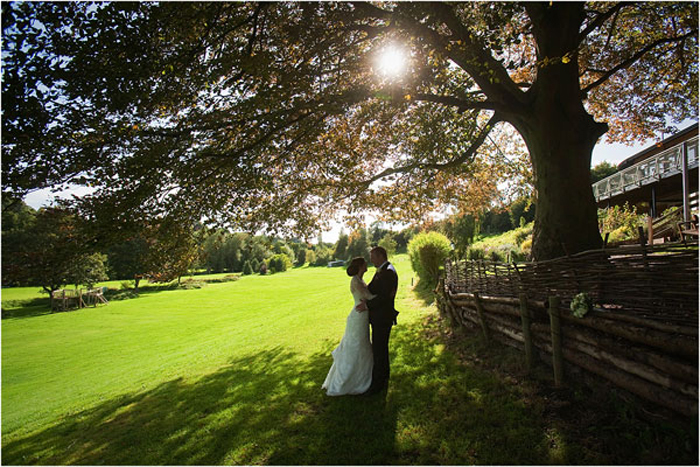 We are so glad we chose the Longhouse as our venue, it was so beautiful and enabled us to have exactly what we had hoped for – we still can’t believe how the sun shone for us too! We had a perfect day and all of our guests loved the venue and said it was one of the best they’d ever been to. Thank you so much for all that you did to make our wedding day so brilliant! We had an amazing time and everyone thought the Longhouse was really lovely. We knew from our first visit that getting married at the Longhouse would be special, and it really was. Let others know what you think of The Longhouse by giving a star rating and a small review.